New season means a new wardrobe, right? Quick, book the day off, and out you go to Drake Circus for a shopping sesh! I don’t know about you, but I can definitely feel winter creeping up on us and you know what? I’m totally ready for it. 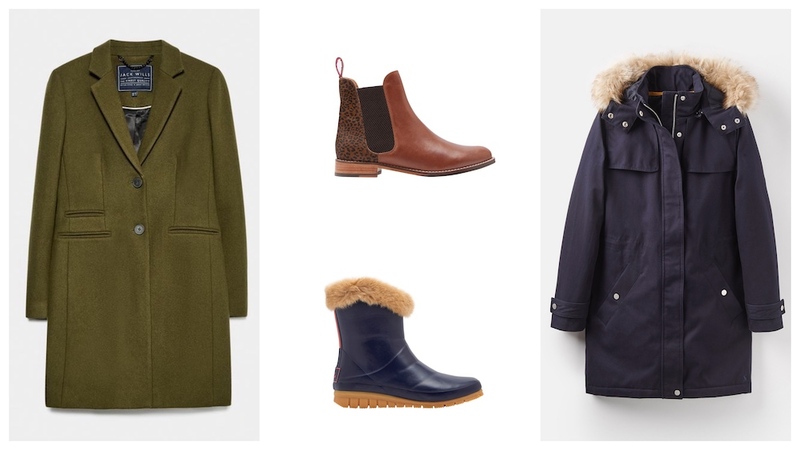 Bring on the cosy knits and an excuse to invest in a new coat (or two, if you’re anything like me). 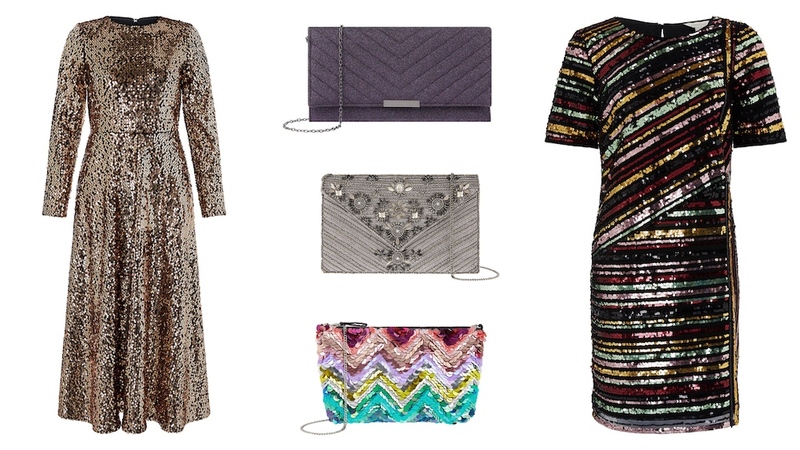 Plus, it’s party season and it’s officially acceptable to wear something sparkly to every. Single. Goddam. Occasion. I’ve been scouting around Plymouth’s Drake Circus to see what pretty things I can find and it’s good news, people! 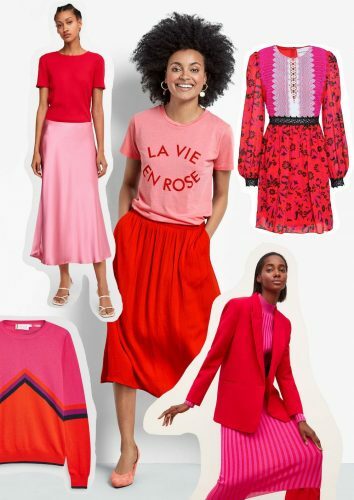 From office wear, to bracing walks on the moors, duvet days, to party nights, here’s plenty to get you excited for the new season. 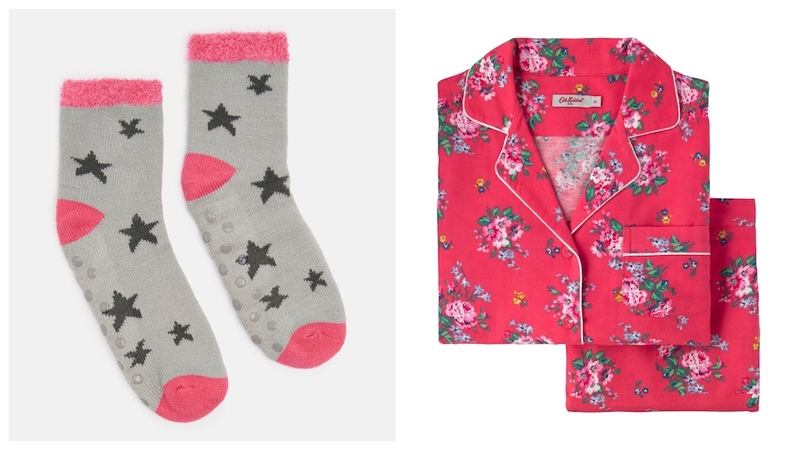 Plus, keep a lookout for some bargains right now, with plenty of seasonal discounts – kerching! Clockwise from top left: Green Kaila Jumper, Monsoon was £45 currently £35; Red Lilburn Jumper, Jack Wills, was £74.95 currently £52.46; Selina Spot Print Midi Dress, Monsoon £99; Farleton A-Line Mini Skirt, Jack Wills, was £59.95 currently £41.96; Casey Corduroy Skirt, Monsoon £45. 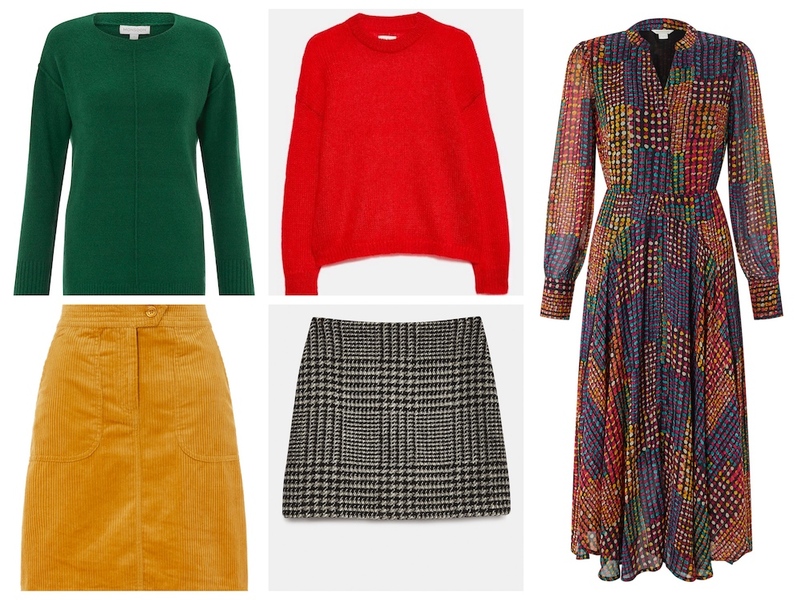 Winter is looking anything but grey, thankfully – there’s so much colour in the shops right now! 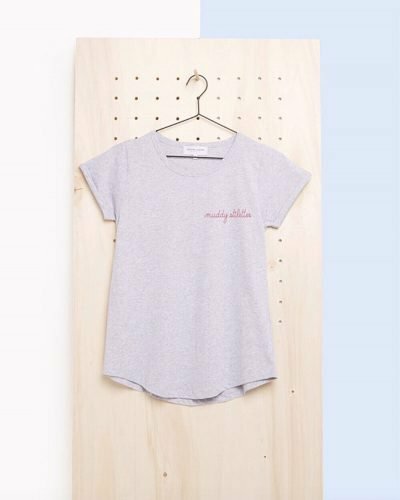 For statement workwear that’ll take you from the office through to those cosy pre-Chrimbo catch-ups in the pub with mates, feast your eyes on this lovely lot. Corduroy is definitely having a moment, just in time for the chillier weather. Here’s my pick of the cutest – and comfiest – dresses that can be styled up, or played down depending on your plans. 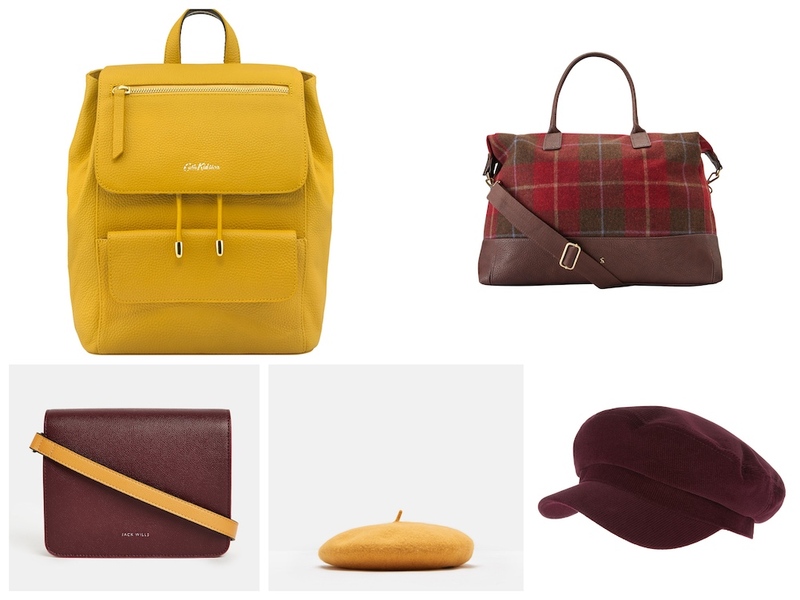 Two gorgeous shades are rocking it when it comes to accessories and, as for hats, Baker Boys are everywhere, as are beret’s. 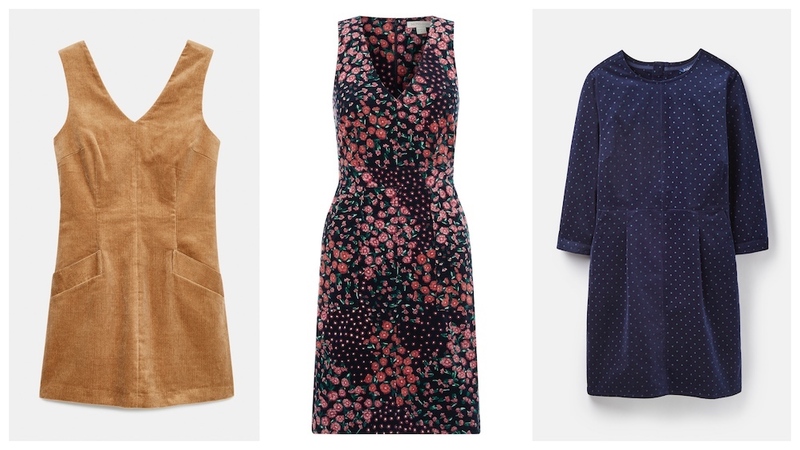 From work, to weekends, here are just a few stylish picks. 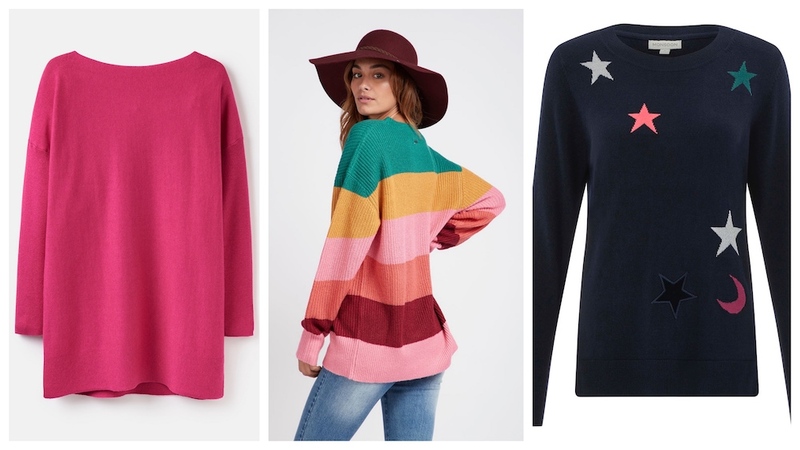 From left: Lilly boat neck sweater, Joules £44.95; Late Night striped oversized knitted sweater, Billabong £70; Skye Star Patch Jacquard Jumper, Monsoon was £55 currently £45. You can’t beat a chunky knit for snuggly weekends and the more colourful, the better as far as I’m concerned! This lot hit the mark nicely (plus allow plenty of *ahem* growing room for all the mince pies) and you know us, we love a star print! 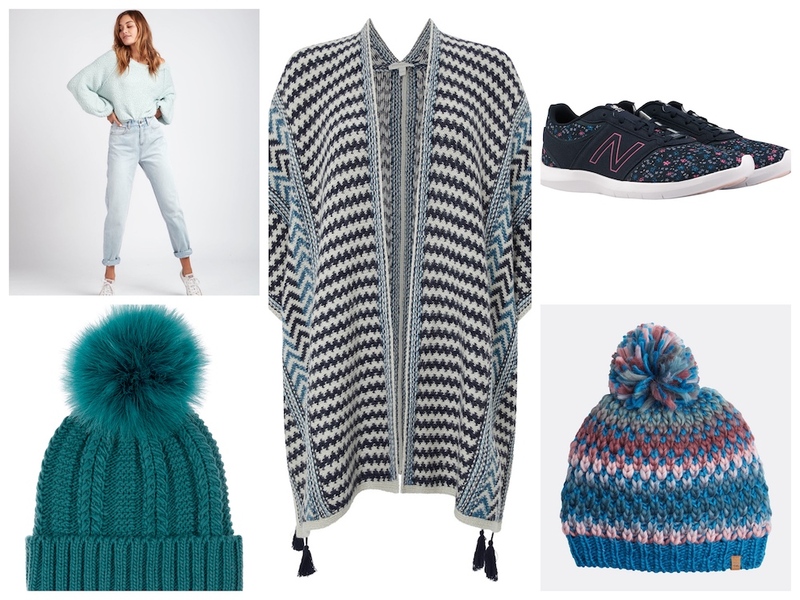 Clockwise from top left: Mama denim jeans, Billabong £65; Paloma Pattern Poncho, Monsoon, was £60 currently £50; Eiderdown Ditsy New Balance trainer, Cath Kidston £60; Snowball beanie, Billabong £30; Feather Pom beanie hat, Accessorize £19. 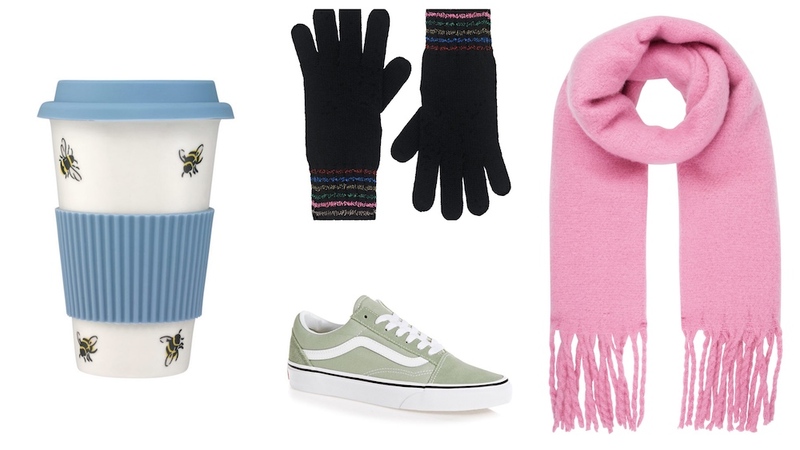 For when long walks and hot chocolates are the order of the day, reach for the gloves, layer up and don’t forget the bobble hat! Whether you’re beach bound or planning a moorland stomp, feast your peepers on this snuggly gear. And after all that walking, you’ve earned yourself a duvet day, for sure. Even if the doorbell rings, you won’t be embarrassed to answer it wearing this clobber. 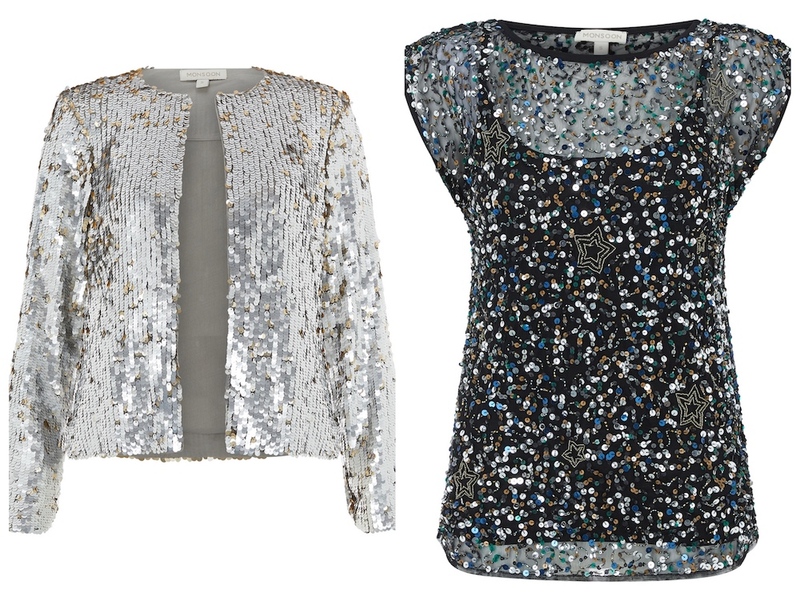 Party season is here and the sparkles are out in force! If you’re not wearing glitter or sequins this season, you’re not doing it right, so unleash that Strictly pro-dancer inside and shine bright. Monsoon has nailed luxe velvet this season. 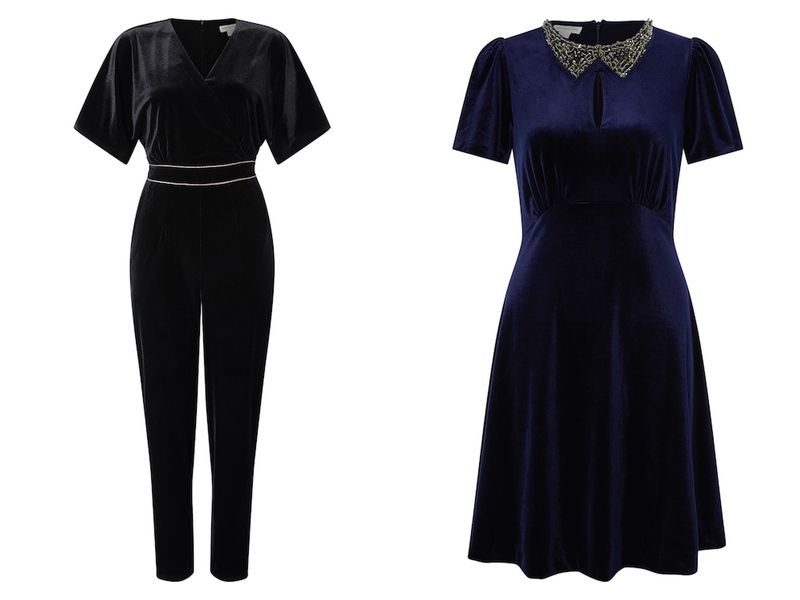 Opt for this gorgeous black jumpsuit, or super-cute collar dress, for some subtle, sultry glamour. Go shop the lot at Drake Circus Plymouth, 1 Charles Street, PL1 1EA. drakecircus.com . Open 9am – 6pm Mon – Sat (open until 9pm on Thurs throughout the Christmas period) and 10.30am – 4.30pm Sun. Check the website for special extended Christmas opening hours during December. Tel: 01752 223030.